Exercise is the first thing I give up when I get busy and know that this is the last thing I need to give up when I get busy or stressed. 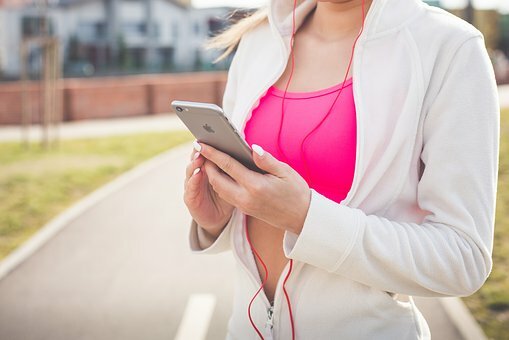 Here are some tips I am trying to implement to ensure I get the exercise that I need, and I hope this helps you all too. If you have additional tips, please share. Put it on your calendar: I had heard this many times, and I did put it on my calendar, but it just gets passed over, so I added started using Google Goals which helps me take the first step and get up! Once I am up, I walk away to take a break or take a walk. Brainstorm: See what works with your schedule and your family’s schedule. I like to exercise in the mornings but that is also the busiest time at work, so I found another option, during kid’s afterschool activities. This schedule has another benefit–the mom guilt is less because I am not taking away my time with them but instead doing my thing while they are doing their thing! Fit it in: Whenever you can. The ideal time I found is when I take the kids to practice. They practice, and I walk. I walk with other moms this gives me a chance to have some human interaction. Connecting face-to-face is critical as a remoter. Weekends: These are as busy as the weekdays, but there are pockets of times when I know I can fit in some exercise or meditation. Try diligently to stick with that. Go for a Hike: Make this a family activity, it will teach the kids value of both exercise and nature. HikeItBaby is a great resource for finding hikes in your area.